This month's We Should Cocoa is hosted by JibberJabberUK who has challenged us to create a vegetabley chocolate creation. Last month's Chocolate Showstopper challenge can be found on Choclette's blog here. 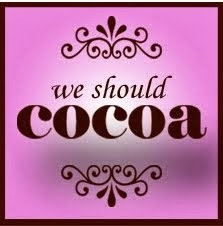 You can read all about We Should Cocoa on the founder's blogs - Chocolate Log Blog and Chocolate Teapot. Does your fridge ever suffer a case of the Saturdays? You know when you've been too busy to food shop during the week and all you're left with is some questionable carrots and three mushrooms? There is also a tiny tub of cream that is careering towards not being safe to eat. This is the crumble for you. You can clean out your veg drawer, and shake some pumpkin seeds out of your cupboards too. 1, Prep all your veg first. Cut the tiny pumpkin into 8 slices and remove the inner goop. Peel and cut the carrot into little chunks. Slice the mushrooms and the onion. Remove the hard stalky part of the cabbage and cut the cabbage into thin strips. 2, Boil the pumpkin and carrot in a pan of salted water until tender. Drain. Remove the peel from the pumpkin. 3, In a frying pan, heat the oil over a medium heat and saute the onions until soft. Add in the mushrooms and cook until soft. 4, Add in the large splash of white wine and simmer until reduced by at least half. Throw in the prepared carrots and pumpkin and the cabbage. Pour over the wine and gently cook until you have a thick, creamy sauce. Season to taste. 6, Next make the crumble topping by roughly rubbing the butter into the flour until you have a lumpy breadcrumb type consistency. Chop the pumpkin seeds, walnuts, and cocoa beans finely and season with a little salt and black pepper. Combine the whole lot together. Divide and sprinkle over the top of the mini crumbles. 7, Bake in the oven for 20 minutes until piping hot and the topping is golden. I was really hoping someone would have a savoury take on this month's theme for We Should Cocoa and you didn't let me down! I love all the ingredients in this crumble. Thanks for entering We Should Cocoa. Thank you :) Great theme for WSC, glad there were other savoury recipes in there too! Thank you Shaheen, it was my first foray into savoury crumbles although definitely wont be the last! Mmmm, that sounds lovely and great for using up leftovers. Thank you - perfect for clearing out the veg drawer! I really like the idea of adding cocoa nibs to crumble toppings along with nuts and seeds, must try that soon. They add a really lovely crunchy texture with the nuts and seeds, thank you for your lovely comment. Oh Hannah, you always come up with fabulous recipes. I used to make vegetable crumbles a lot, but never in my wildest dreams would I have thought of cocoa nibs - I didn't even know there was such a thing back then. Must make a savoury crumble again, yours sounds fab. Thanks for another inspiring We Should Cocoa entry. Thank you Choclette. I wouldn't normally have added them in but if there is any excuse to get chocolate in my dinner, then I am most certainly in! vegie 'crumble' sounds wrong, but really there is nothing unusual about delicious and comforting dishes like this! i haven't made one for a little while now (i;m on a vegie slice kick at the mo). yum - thankyou! Thank you e, it doesnt sound quite right, does it?! Will have to think about a better name for them. 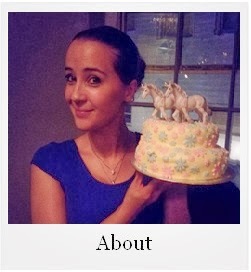 All photos and text, unless otherwise stated, belong to Hannah Hearsey Copyright 2010-2013 . Powered by Blogger.